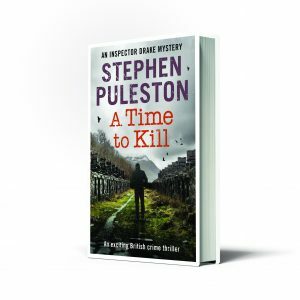 Be one of the first to read the opening three chapters of A Time to Kill. Download today. Drake knows they are dealing with a cold-bloodied killer. But the valleys of Snowdonia are an unlikely place for a murderer to hide out, and Harry an unlikely victim. As the investigation unfolds, Drake discovers a web of intrigue surrounding Harry, and business links with the criminal underworld.